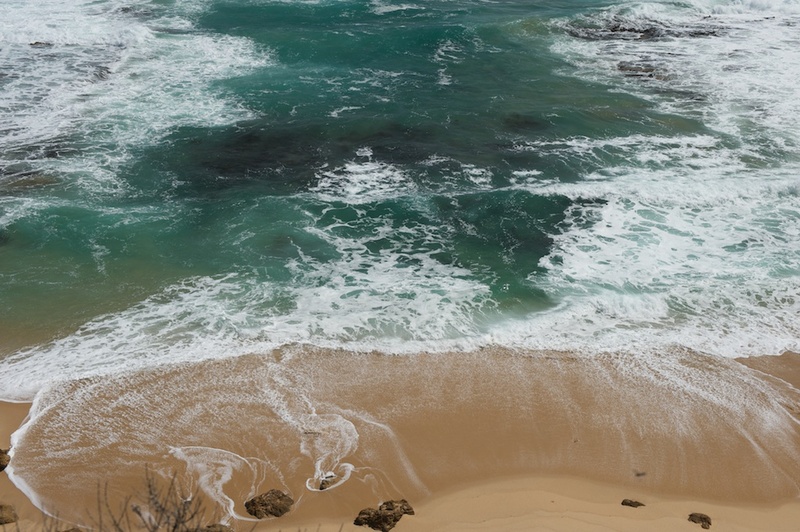 Sure, you may have heard of Australia’s Great Ocean Drive (if you haven’t, please see my previous blog: https://blog.lesterpickerphoto.com/2010/11/12/the-great-ocean-drive-photo-valhalla/), but have you heard of its Great Ocean Walk? Every so often I come up with a travel venue that I just love and want to share with my readers. This is one of them. 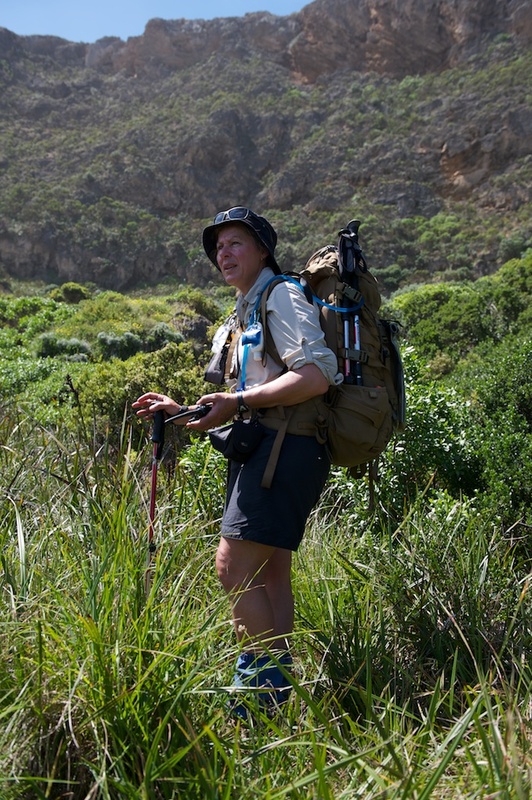 Various Aussie government agencies, nonprofit organizations and private landowners have created a fascinating, seven-day walk along the Pacific Ocean that meanders through scenery that defies description; along seaside cliffs, through cow pastures and verdant forests. The walk can be done in one weeklong trek, or in one-day or multi-day segments, conveniently divided so that you can pick up those sections you missed at a future time. Along the way are campgrounds and inns that cater to the walking crowd. The walks range from easy to moderately strenuous, depending on your age, physical condition and pace. My wife and I joined one of these walks conducted by a creative small business called Bothfeet, a dream of owners Gavin and Dana Ronan, themselves avid walkers. 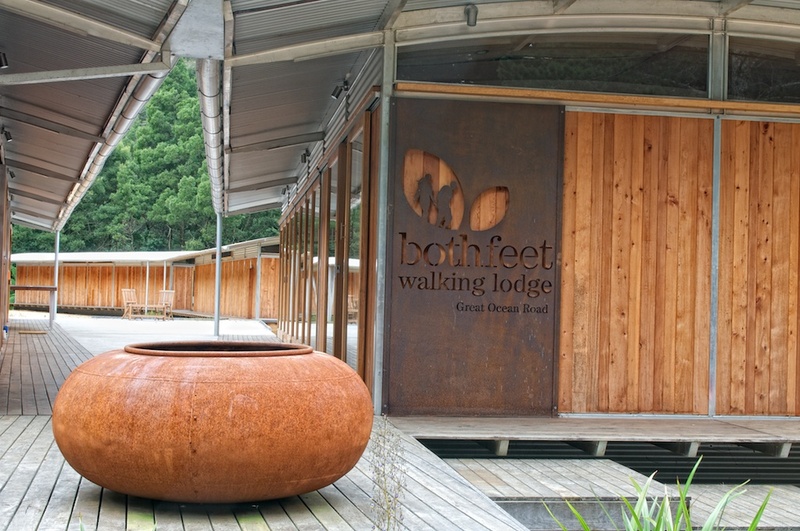 Bothfeet’s concept is unique in that they run an elegant lodge that caters to every whim of walkers. They offer several types of walking experiences. 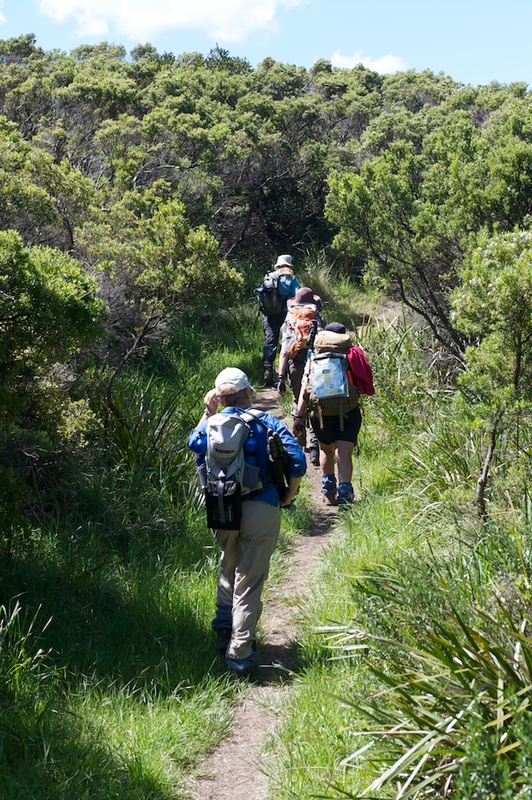 You can go on a guided walk for any length of days or hire one their very able guides for your private party. Or, you can just stay at the Bothfeet Lodge and take walks on your own. They will pick you up at the end of each day’s segment. The entire Bothfeet facility was conceived by 38-year old Gavin and designed by an architect using eco-friendly materials and concepts. Bothfeet is presently set up for ten guests, creating a wonderfully intimate atmosphere. Future plans include expanding to accommodate a maximum of 20 visitors. The buildings are all modular and nicely appointed, with wood walkways linking all facilities. On our first afternoon at Bothfeet, we walked along highlands that paralleled a picturesque stretch of the ocean, from Aire River Valley to Johanna Beach, a distance of perhaps 7 kilometers. Our knowledgeable guide, Marie Killeen, pointed out items of interest, from Aboriginal medicinal plants to the story of shipwrecks that occurred just offshore from where our feet were planted. 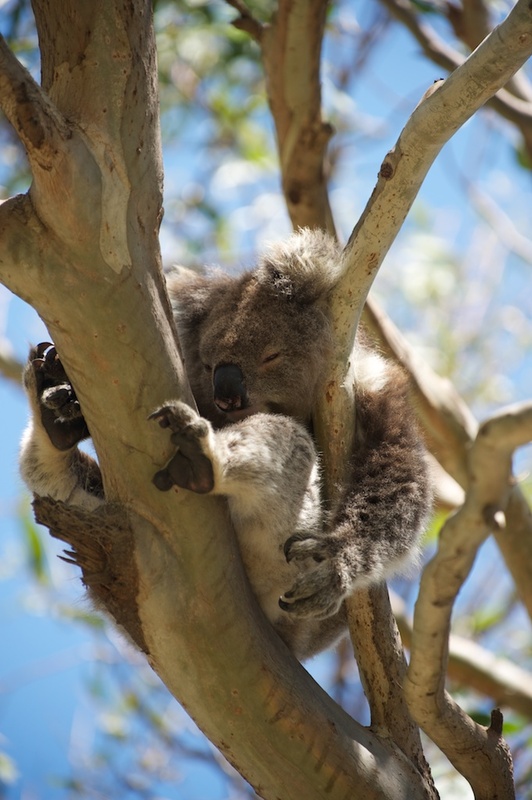 Walkers encounter some of Australia’s iconic wildlife, like kangaroos, wallabies and koalas, with Marie providing a naturalist’s commentary. Luscious and nutritious lunches are prepared and packed by Ha and happily consumed by hungry walkers. If you are interested in an active vacation and want an incredible walking-lodging experience I heartily recommend a stay at Bothfeet.